T-Mobile-MetroPCS merger: It would force AT&T and Verizon to improve. Why the proposed combination of T-Mobile and MetroPCS would force Verizon and AT&T to improve. It seems like nothing can quite go right for T-Mobile. In 2011, Deutsche Telekom’s long-troubled American subsidiary had a great plan to sell the company to AT&T. AT&T desperately wanted T-Mobile’s broadband spectrum, and Deutsche Telekom desperately wanted to exit the American market and focus on Europe. AT&T created a smart political strategy to support the merger, offering the Communications Workers of America a good chance to organize T-Mobile’s nonunion workforce and garnering the support of labor unions. They got technology giants including Microsoft, Facebook, and Oracle to support the merger. They wheeled and dealed to line up the backing of the NAACP, the Gay and Lesbian Alliance Against Defamation, and other civil rights group with no obvious relationship to the issue. And nonetheless, the merger was blocked for competitive reasons by the Federal Communications Commission and Justice Department anti-trust officials—notwithstanding a decent argument that the alleged anti-competitive impact of the merger was a mirage. Late last year a new hope emerged for T-Mobile. Rather than being acquired by a larger company, T-Mobile could acquire a smaller one by agreeing to merge with discount mobile provider MetroPCS. Regulators gave this deal the thumbs-up. Regulators agree that the American mobile phone market would benefit from more consolidation. But they don’t want to see market leaders AT&T and Verizon grow. Instead they want to promote consolidation among the other smaller players in the market, with the idea that not-so-little-anymore guys of the future would offer more robust competition to the big players. 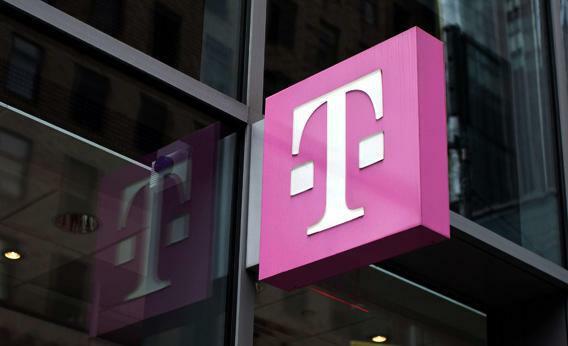 But now that T-Mobile has found a deal that regulators like, it’s facing financial problems. MetroPCS’s single largest shareholder, Paulson & Co., announced its opposition to the deal early. And Wednesday the proxy advisory firm ISS, which is often influential among institutional investors, also gave the arrangement the thumbs-down. The basic problem from the standpoint of MetroPCS’ shareholders is that their company, though small, is successful. MetroPCS doesn’t have as large a customer base as T-Mobile. It doesn’t have as large a physical retail presence, especially in major cities. It doesn’t have Carly Foulkes and her viral YouTube videos. But it does have what appears to be a profitable business selling cheap, uninteresting phones that don’t garner attention from tech fanboys and pairing them with low-commitment rate plans. It’s only the fifth-largest mobile provider in America, but it has a smart strategy of trying to tap the market of people who want a cellphone and a decent value but who haven’t heard about the Samsung Galaxy S4 launch event and don’t care about the ineluctable tradeoff between battery life and performance at the top end. Meanwhile, the financial terms of the proposed deal are not particularly favorable to MetroPCS. The plan is for a “reverse merger,” creating a new publicly traded entity that will be 74 percent owned by Deutsche Telekom. The new firm will also receive a $15 billion loan from Deutsche Telekom at a high 7 percent interest rate. In exchange, MetroPCS shareholders get a $1.5 billion cash payment. More importantly, they gain a strategic opportunity for growth. It’s a successful business, but it’s running up against limits of infrastructure and spectrum that will force its growth to slow. Teaming up with T-Mobile creates an entity with much more upside. Paulson and ISS argue that the price still isn’t right. Independent of T-Mobile, MetroPCS would have $1.5 billion in cash to dedicate to new spectrum. Merged, it’ll be heavily indebted. More fundamentally, new owner Deutsche Telekom has a terrible track record in the U.S. mobile business. Still, regulators are absolutely right to regard this deal as advancing the public interest. T-Mobile’s plan to try to get people to pay full price for their smartphones is a great idea. Its new contract-free approach is a better deal for customers than the Verizon/AT&T mishmash of hidden costs and cross-subsidies. That’s also essentially the business plan MetroPCS has been successfully pursuing. T-Mobile can add infrastructure and branding strength that MetroPCS lacks, as well as the iPhone and other top-tier products. There’s no guarantee the merged business will succeed, but it would offer a meaningful challenge to AT&T and Verizon, which would almost certainly have to start offering more attractive contracts to stay competitive. It’s a scenario that would certainly vindicate the FCC’s controversial decision to block the earlier sale of T-Mobile. The government can block mergers it deems bad for competition, but it can’t actually force the kind of consolidation it wants to see. All any of us can do is hope either that the majority of MetroPCS shareholders are tempted by the upside of a merger or that Deutsche Telekom can be persuaded to sweeten the offer. If not, the collapse of the tie-up could be a huge loss for consumers.